design showrooms in the US and overseas. Once a year, we have a studio sale in Philly. This year it’s on December 7th. It’s open to all and it’s awesome! Sign up here to be on our list. Where can I buy Galbraith & Paul Fabrics & Wallpapers? Our fabrics and wallpapers are available to design trade professionals and are sold through Design Showrooms in the United States and Overseas. For architects and designers working outside our showrooms’ territories, please contact us for more information. For end users interested in purchasing our fabrics and wallpapers, please contact us for more information about buying resources available to you in your area. 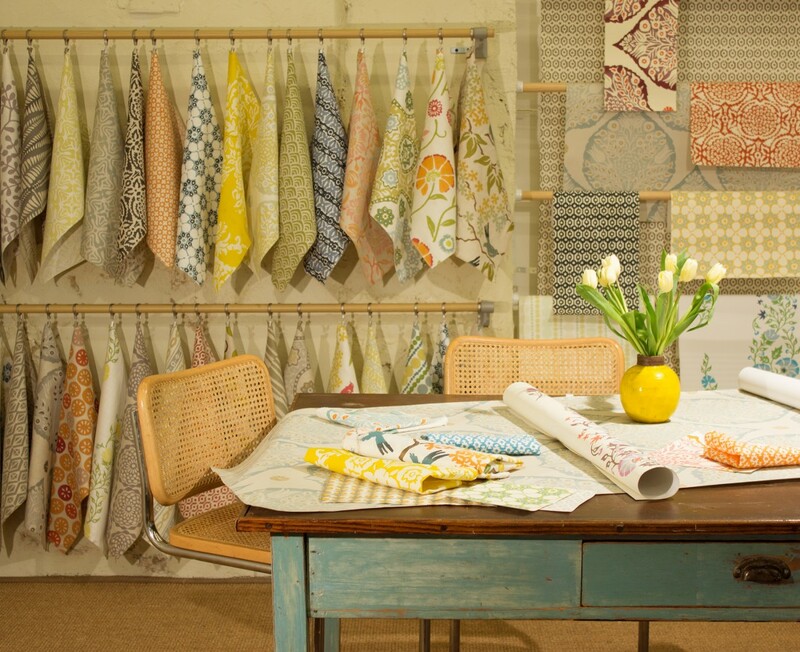 Our fabrics and wallpapers are printed to order in our studio and we typically do not keep anything in stock. Normal lead time for fabrics is 10-12 weeks. We also have a rush program which can cut the lead time down to 4-6 weeks. Because we print to order, there is a 5 yard minimum for both fabrics and wallpapers. How does the wallpaper work? Our wallpapers are printed printed to order on 36″ wide paper and trims to 35″. The paper is nylon-reinforced for strength and also Class A Fire-Rated. It’s available in single rolls of 5 yards or double rolls of 10 yards. We can also print custom panel lengths upon request. For questions about installation, please see the installation guide. Because we print to order, it’s easy to do custom fabrics and wallpapers. Simply put, any of our patterns can be printed in any of our colors. We provide schematics for all of our patterns that show color placement and have visual guides to all of our wallpaper and fabric colors. For more information, please visit our Custom section. Where can I buy Galbraith & Paul products retail? We produce a line of hand block printed pillows and table runners that are sold exclusively through Room & Board. My question wasn't answered here. Can I contact you? Sure. Please visit our Contact page and let us know how we can help.